A new report from Current magazine ranks the University of Waterloo 4th in the Americas for innovation in Artificial Intelligence (AI) and robotics. 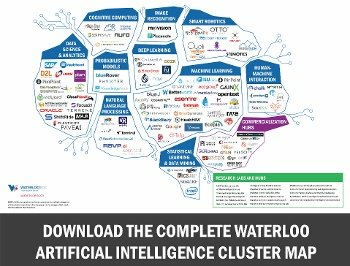 Among the reasons for its selection, the University was lauded for the recent launch of the Waterloo AI Institute, which supports research and development in healthcare, urban planning, autonomous systems and human-machine interaction. The Institute brings together nearly 100 faculty to tackle practical and fundamental problems brought to them by partners in business, government and the non-profit sector. For example, researchers recently applied AI to data generated from wearable technology in order to detect if a users health is failing. The University was also recognized for having one of the world’s top-30 Computer Science programs. In fact, the University is home to the world’s largest collection of math and computer science talent, was just named “Canada’s Most Innovative University” for the 27th consecutive year, and has close ties to the Vector Institute for Artificial Intelligence in Toronto. What to know more? You can find the whole article from Current here.